Vladimir Tsastsin, in undated photo. Estonian authorities arrested six men, including Vladimir Tsastsin, 31, the owner of several Internet companies that have been closely associated with the malware community for many years. Tsastsin previously headed EstDomains Inc. a domain name registrar that handled the registrations for tens of thousands of domains associated with the far-flung Russian Business Network. Reporting for The Washington Post in September 2008, I detailed how Tsastsin’s prior convictions in Estonia for credit card fraud, money laundering and forgery violated the registrar agreement set forth by the Internet Corporation for Assigned Names and Numbers (ICANN), which bars convicted felons from serving as officers of a registrar. ICANN later agreed, and revoked EstDomains’ ability to act as a domain registrar, citing Tsastsin’s criminal history. 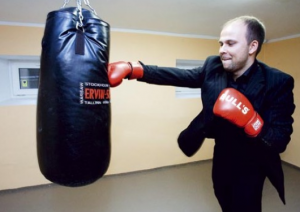 Also arrested were Timur Gerassimenko, 31; Dmitri Jegorov, 33; Valeri Aleksejev, 31; Konstantin Poltev, 28 (quoted in the above-linked stories as the spokesperson for EstDomains); and Anton Ivanvov, 26. All six men were arrested and taken into custody this week by the Estonian Police and Border Guard. A seventh defendant, a 31-year-old Russian national named Andrey Taame, is still at large. 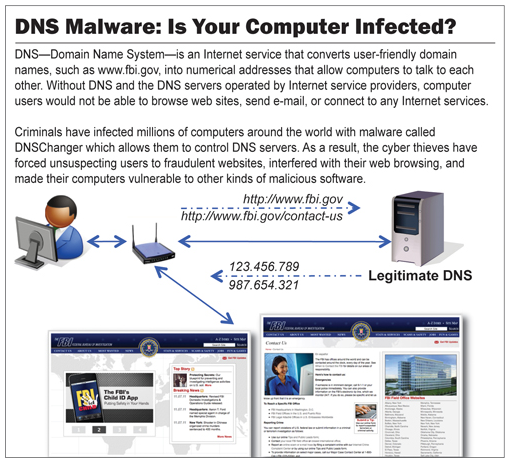 Indictments returned against the defendants in the U.S. District Court for the South District of New York detail how the defendants allegedly used a strain of malware generically known as DNS Changer to hijack victim computers for the purposes of redirecting Web browsers to ads that generated pay-per-click revenue for the defendants and their clients. U.S. authorities allege that the men made more than $14 million through click hijacking and advertisement replacement fraud. DNS Changer most often comes disguised as a video “codec” supposedly needed to view adult movies. It infects systems at the boot sector level, hooking into the host computer at a very low level and making it often very challenging to remove. This malware family didn’t just infect Microsoft Windows systems: Several versions of DNS changer would just as happily infect Mac systems as well. Other variants of the malware even hijacked DNS settings on wireless home routers. The FBI has posted several useful links to help users learn whether their systems are infected with DNS Changer.